I love when art and utility meet. 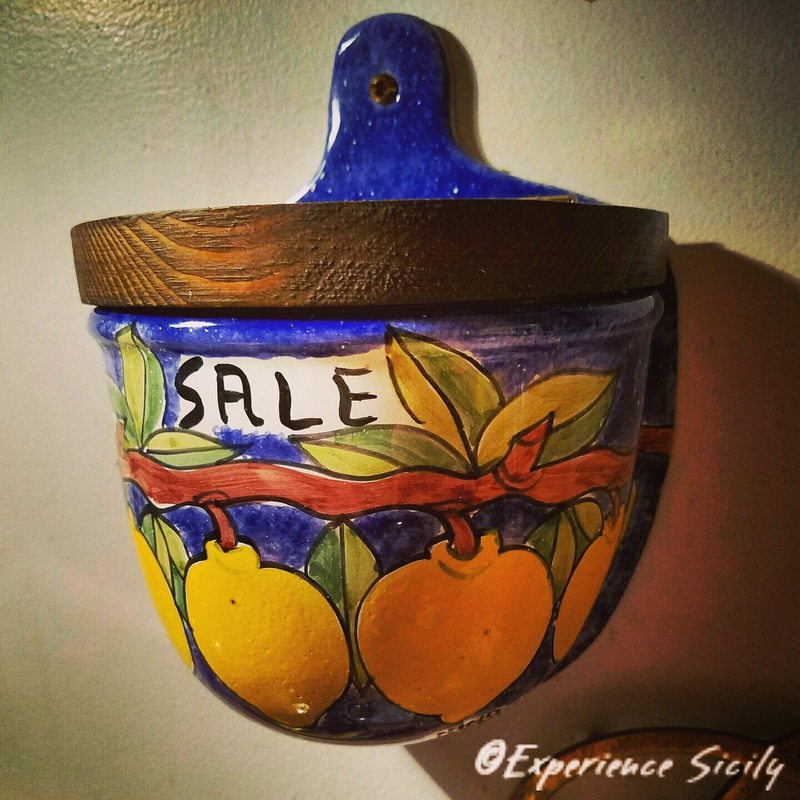 Here’s my salt holder, which is over my stove in New York City, made by Palermo ceramica artist, Nino Parrucca. Of course, it’s filled with sea salt from Trapani! Just lift the door, and salt to taste.